Samsung Galaxy A8 plus Price in Bangladesh, Full Specification & User Reviews. Samsung Galaxy A8 Plus comes with 6.0 inches Super AMOLED display with 1080 x 2220 pixels screen resolution. It has a 16-megapixel main camera on the back and Dual ( 8 + 16 ) MP front camera for selfies, featuring with HDR (High Dynamic Range), Live Stickers, Stamps, Beauty mode, Filters, Night, Quick Launch, Floating camera button, Grid Line, Location Tags, Voice Control. Samsung Galaxy A8 plus Price in Bangladesh is 55,900 taka. Samsung Galaxy A8 plus powered by 4/6 GB of RAM and Octa-core (2.2GHz Dual + 1.6GHz Hexa) processor. It comes with 32/64 GB internal storage which upgradeable up to 256 GB by a standard MicroSD card. This dual-SIM phone supports two Nano-SIM for dual version and one nano sim for the single version. The smartphone has a Removable 3500 mAh Li-Ion battery. Talk time Up to 23 Hrs (3G WCDMA) and music play time up to 73 Hrs. Galaxy A8 plus operated by Android 7.1.1 (Nougat) and no java supported. The dimension of the phone is 159.9 x 75.7 x 8.3 mm and gross weight is 191 grams. This smartphone comes in four beautiful colours Black, Orchid Gray, Gold, Blue. Accelerometer, Barometer, Fingerprint Sensor, Gyro Sensor, Geomagnetic Sensor, Hall Sensor, Proximity Sensor, RGB Light Sensor available on this smartphone. Samsung Bangladesh started their journey in Bangladesh in 2010. In present Samsung mobile is one of the top people’s choices brand in Bangladesh. The company proudly introduced one another’s smartphone in the local market, such as On Series, J series, A series, Note, C series and S series. J series is the top and huge selling product among them. Due to the affordable price and attractive features Galaxy J series placed the top-selling smartphone among them. Samsung Bangladesh is not only selling smartphone they are also involved in home appliances such as Panel TVs, Refrigerators, Microwaves and Invert-er ACs. Fair Distribution Limited is the Samsung local authorized distributor in Bangladesh. Hope you are satisfied with our Samsung Galaxy A8 Plus Price BD, specifications & reviews. 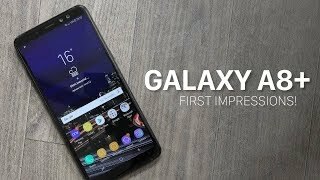 If you are one of the users of Galaxy A8 Plus please don’t forget to drop a review by the above reviews tab. It is very important to us to know the performance of the smartphone.